TOTALLY INTO IT! Looking for a career in Cinema? Looking for a career in Cinema? 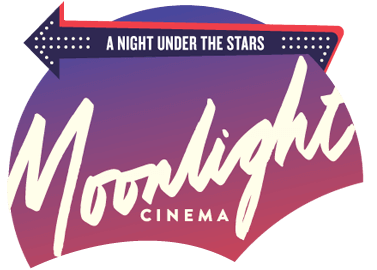 The Event Group’s entertainment division operates Event Cinemas in Australia, New Zealand and Fiji, the State Theatre in Sydney, Moonlight Cinemas across Australia, Cinestar Cinemas in Germany and Edge Digital Technology. It also operates the highly successful movie loyalty program Cine Buzz Rewards that offers members a free movie for every 6 movies seen in a year. 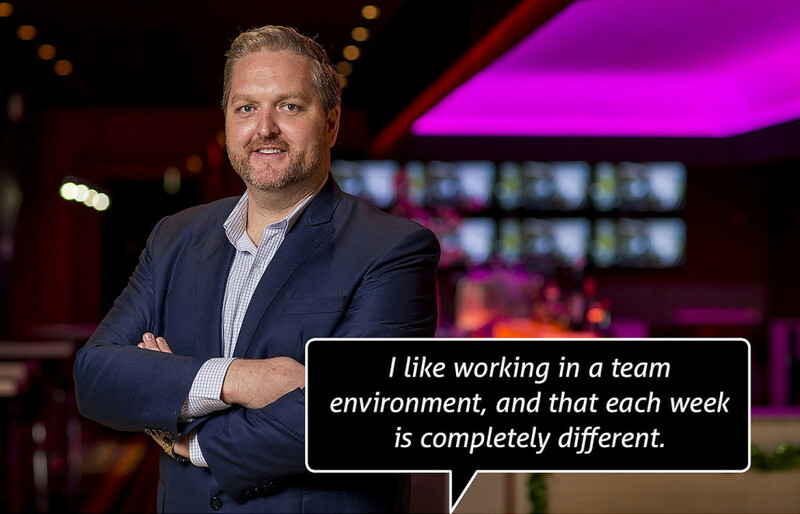 Let our staff explain why they’re so into working at Event Hospitality & Entertainment – and why you would be too. We also have our own one hour television program – Event TV. With one-on- one interviews with the biggest Hollywood stars, red carpet arrivals and behind the scene insights into the magic of movie making. 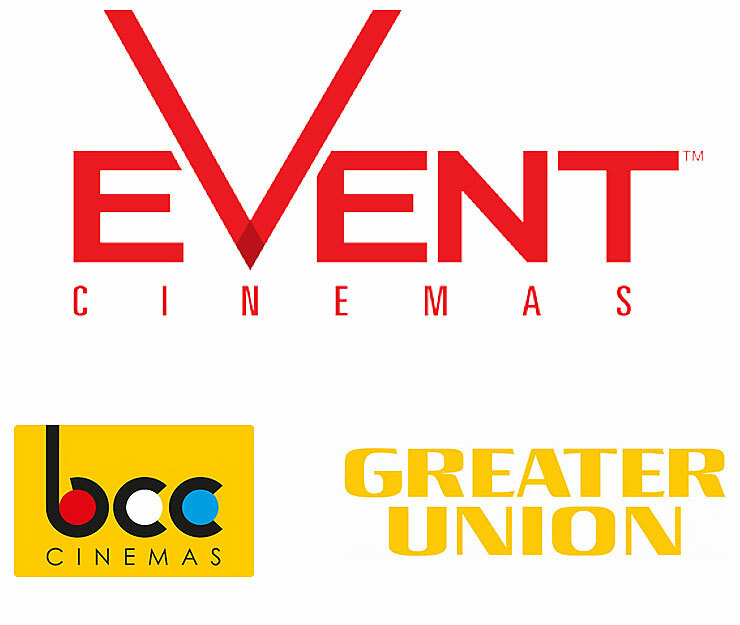 BCC Cinemas and Greater Union are our other branded locations under the EVENT cinema portfolio. The ultimate luxury cinema experience – travel first class at the movies with the laid back luxury of Gold Class. With wall to wall screens, fully reclining arm chairs and food and drinks delivered to your seat throughout the movie. Have a drink before…and after the movie – why not arrive early to our exclusive lounge and have a drink. It’s the perfect place to catch up and begin to unwind before the movie even begins. World class food and drinks at the movies – enjoy waiter service in the lounge or to your seat with an eclectic mix of the latest cocktails, beer and wine. Snack on a contemporary food selection from our chef prepared menu. 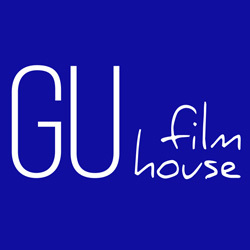 GU Film House specifically caters to the emerging trend for intimate cinema formats screening niche, arthouse and main stream releases. GU Film House Glenelg, the first cinema complex under this brand, consists of 6 screens seating with large leatherette seats, our decor is subtlety understated with a style and finesse that blends in well with the arthouse concept. Complete with an onsite licensed café consisting of a curated food menu, we offer the complete cinema experience! Moonlight Cinema is Australia’s favourite outdoor cinema, showing advance screenings, new release films and cult movies in a number of iconic venues across Australia including the Royal Botanic Gardens’ Central Lawn in Melbourne, Botanic Park in Adelaide, New Farm Park at Brisbane Powerhouse, Kings Park and Botanic Garden in Perth, Belvedere Amphitheatre in Centennial Park, Sydney and on the lawns of QT Resort Port Douglas. Without these people, a cinema is a no-show. The positions are many & varied. Check them out. 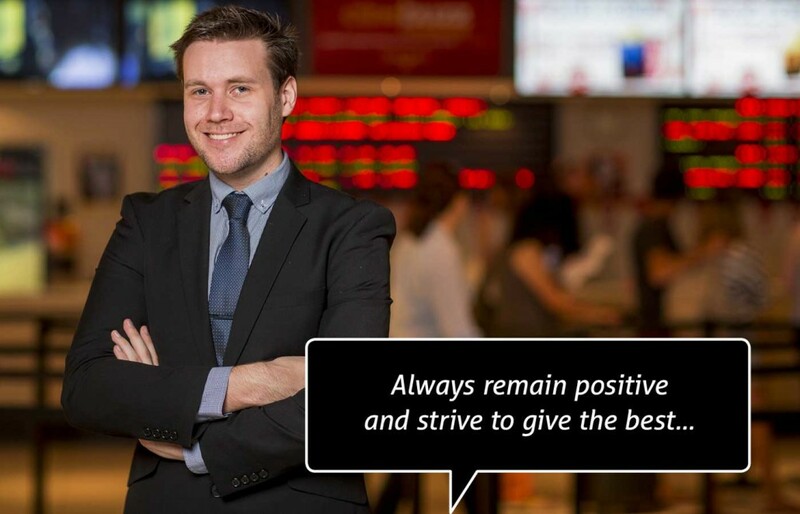 The General Manager oversees all activities within the cinema, ensuring that each department is operating within the required service standards and returning a profit to the business. 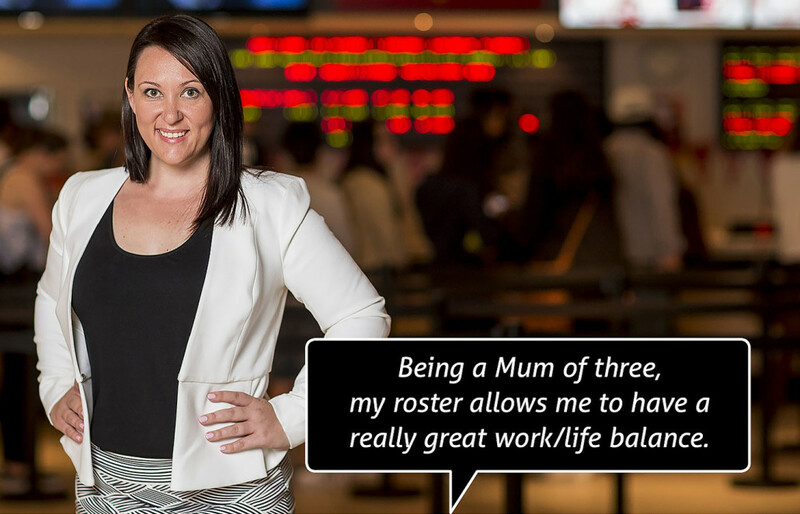 A General Manager is ultimately in charge of all aspects of the running of the cinema. They function as the primary strategic leader, creating, developing and implementing cinema strategies. 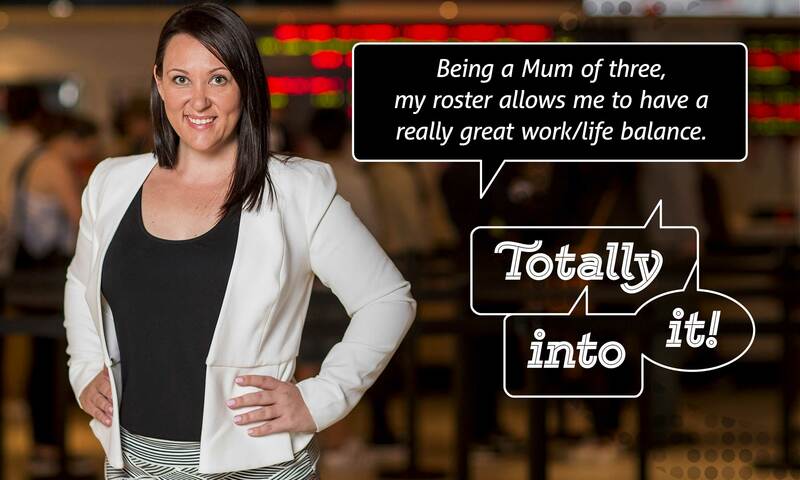 This is a hands-on role supporting the General Manager in managing all facets of the cinema including revenue management, food and beverage, marketing, recruitment and training, customer service and achieving financial targets. 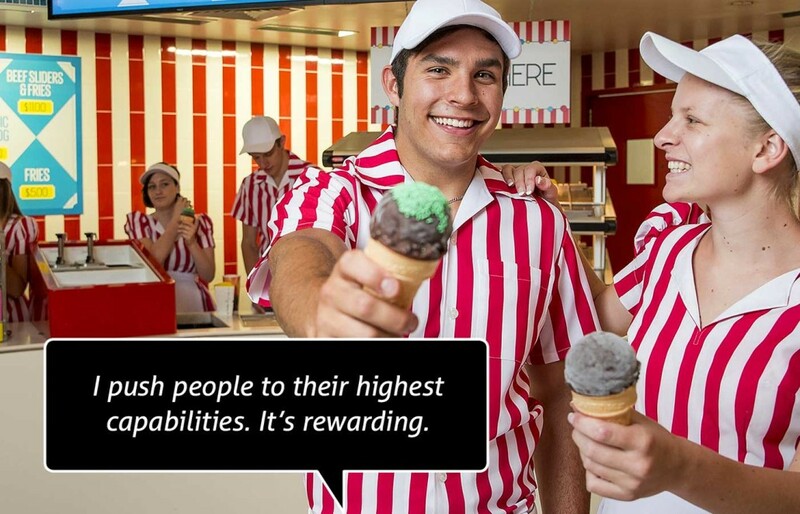 A key part of this role is direct customer service. This role is all about the movies! 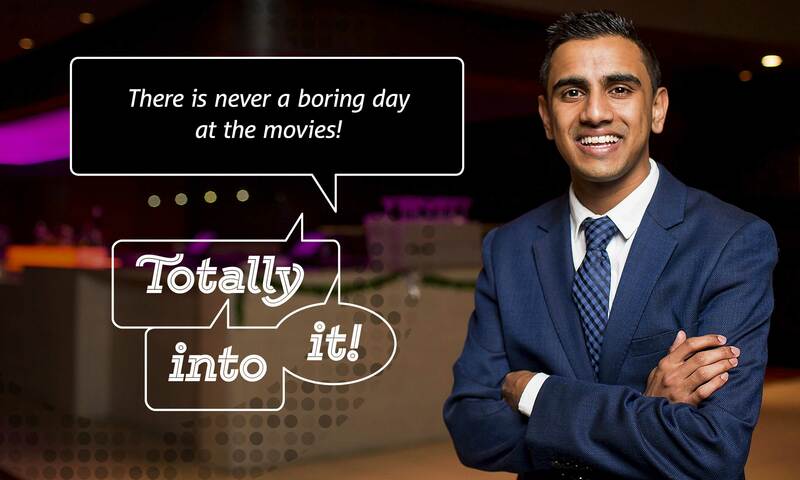 You need to know what movies are showing, their ratings, what the latest release films are and you need to work hard to keep our facilities in top class shape for our customers to enjoy every time they see a movie with us. This involves cleaning and maintaining the auditoriums, restrooms and foyers while managing access to the theatre and the auditoriums. 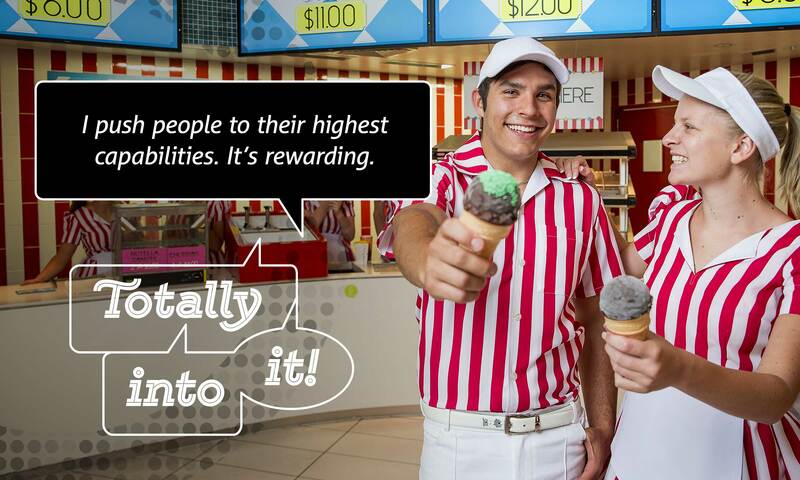 This is a pivotal role in customer service as you’re usually the first person our customers interact with! Using our state-of-the-art ticketing software, you’ll be responsible for selling tickets, voucher and movie products and keeping our customers informed about all the latest marketing and promotional campaigns we have on offer. This is where you get to know all about the great food and beverage products we sell! 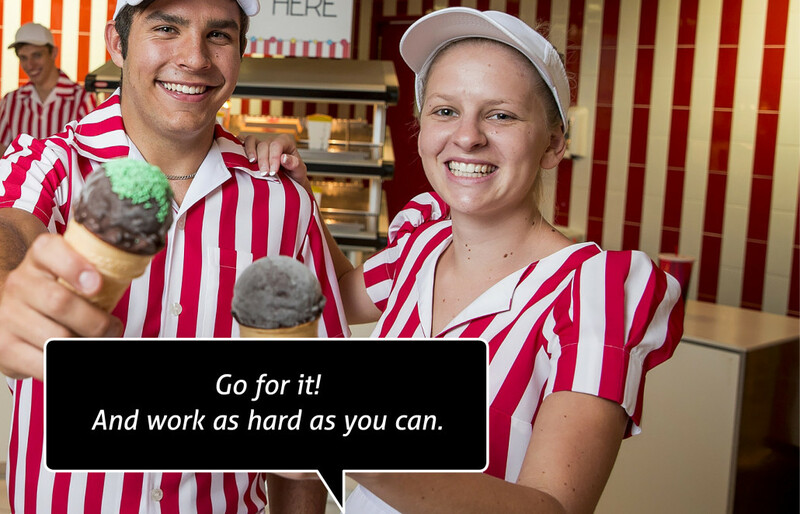 The main responsibility is selling delicious movie snacks and treats to our customers and making sure the F&B outlets like Scoop Alley and our bars and cafes, look clean and inviting. There’s also a whole lot of behind the scenes preparation works that goes on to make sure that the food and drink products are ready to sell when we open our doors. Your job to is make sure that you prepare and serve top quality drinks in a really consistent way by making sure you follow the recipe guidelines that are in place to help with this. 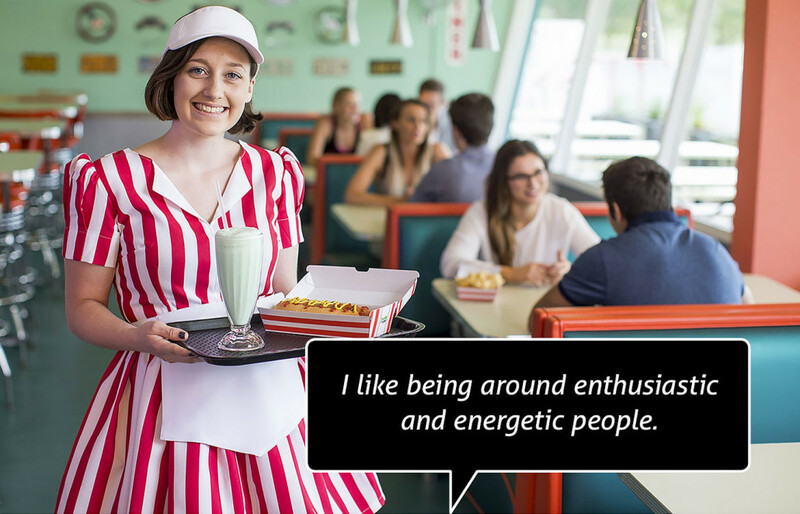 This role is all about greeting and welcoming our guests and delivering the food and drinks in a fast and efficient way so we don’t interrupt out guests’ movie experience. It also involves clearing, cleaning and resetting tables in the auditoriums and in the lounge. Sounds simple! You need to be fast and efficient and able to produce great tasting food in a really short-time frame so we don’t keep our guests waiting. Producing a consistent quality product is also a vital part of this role and we have standard recipe guidelines to help you with this. Supervisors can be appointed in any area of the cinema and are there to help the management team ensure the cinema functions run smoothly and efficiently. 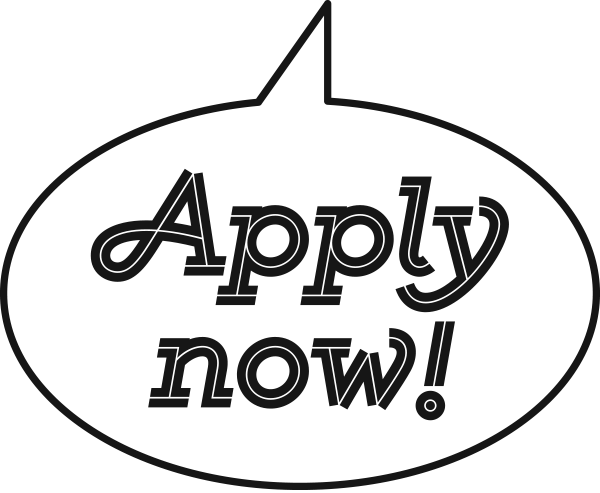 This is a fabulous stepping stone to your career in cinema management! 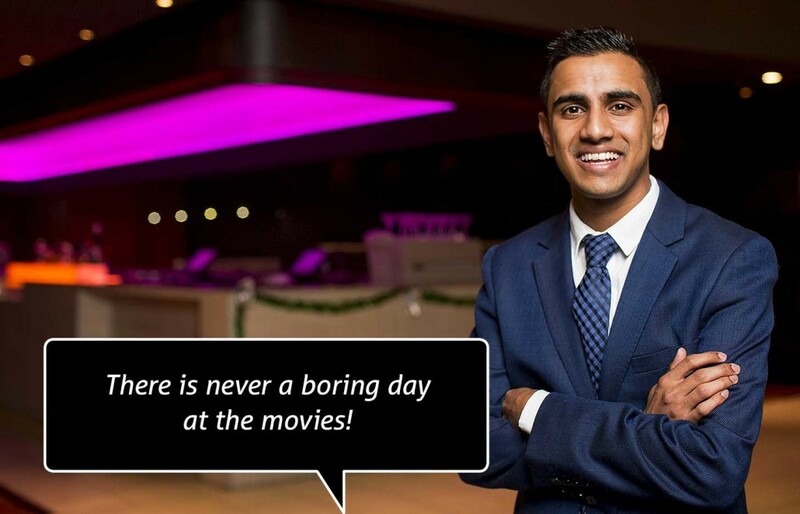 You will assist in managing the day-to-day operation of our cinema to ensure we exceed our customers’ expectations whilst maximising our profits.